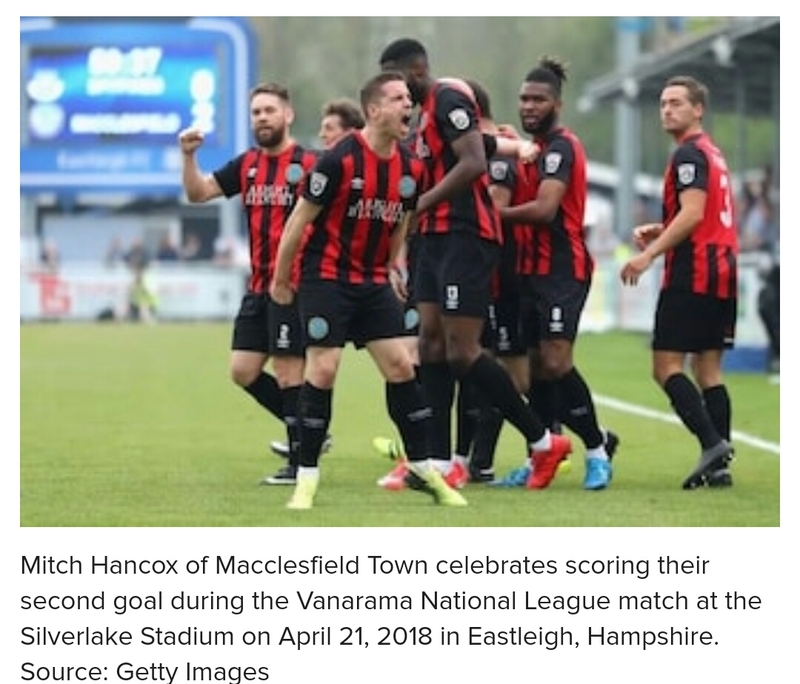 Football League Two side Macclesfield Town are in the record books after beating Walsall in a penalty shootout to reach the third round of the Carabao Cup on Wednesday, August 29. 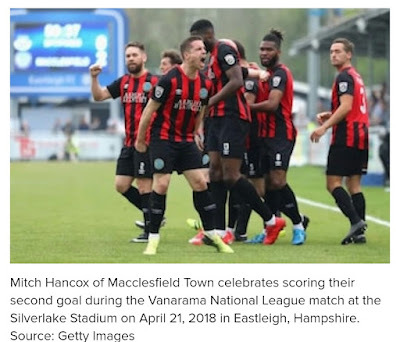 Jamie Grimes and Harry Smith scored for Macc in a thrilling 3-3 draw, before Walsall hit back with goals from Kieron Morris, Andy Cook and Josh Gordon put them ahead. 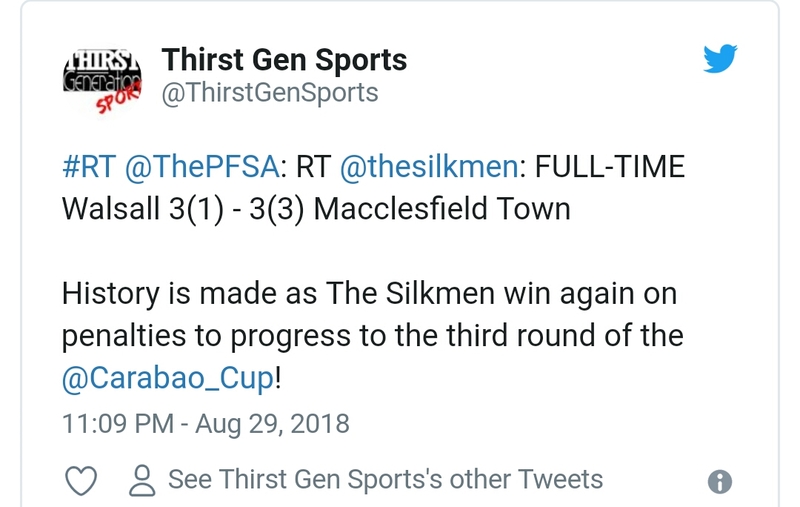 According to BBC, Macc have never lost a penalty shootout and won their eighth straight shoot-out in a competitiion. And it was all thanks to on-loan Manchester United goalkeeper Kieran O'Hara, who skillfully palmed three penalties. 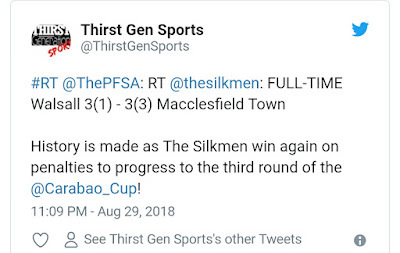 Tyrone Marsh stoppage-time strike then took the game to penalties and gave the Silkmen a chance to progress to the next round of the Cup.